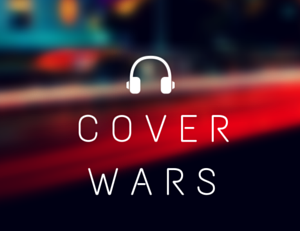 There has been a lot of buzz about our cover wars, and now we want to do more for our winners! We are bringing back some of your favorite covers and artists who have received the most overall votes in our contests! The song we chose may not be one of the covers we used, because we wanted to bring back all of your fan favorite artists but we didn’t want to have more than one of the same song. We ask for your help one more time! Vote for the cover you like best! The winning band of this cover wars not only becomes our band of the month, but you may be able to win concert tickets, merch and tweets from the winning band! Follow @HRCTweets for updates on this contest and a chance to win books, CD’s and posters autographed by your favorite musicians and authors! This Cover Wars will be closed on Sunday, June 3rd at 5pm cst. To help out our funding site go here http://ftp.indiegogo.com/honestreviewscorner With small donations you can interview one of your favorite bands and have the interview posted on our site! Only 10 Available, get them quick! VOTE STARBOY NATHAN- HES MUCH BETTER THAN THE REST. STARBOY NATHAN!!!!! Glad You Came!!! VOTE FOR LISA SCINTA PLEASE !!!!!!! Lisa Scinta blew that song away – her covers are amazing. Her originals are even better. we done it fam well done! STARBOY FOR THE WIN! !